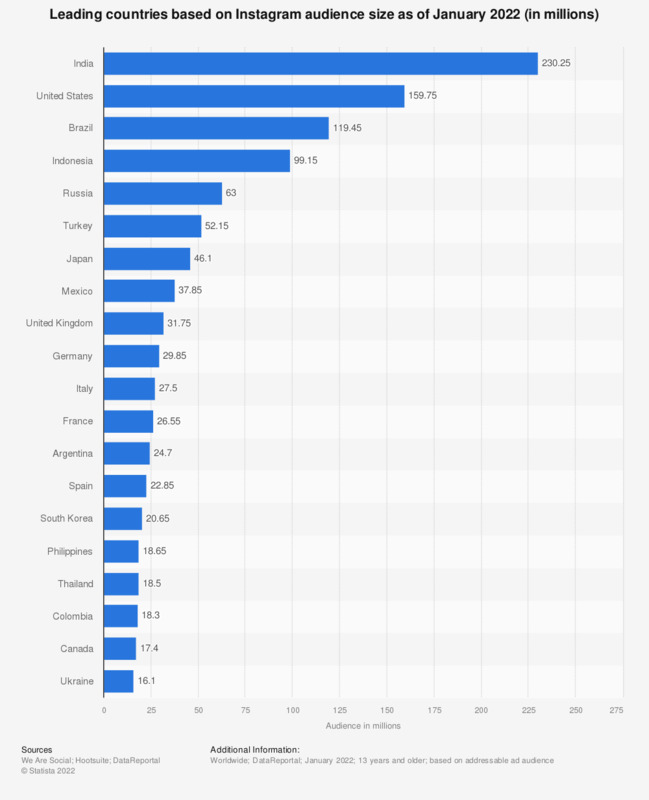 The United States head the ranking of the countries with the most Instagram users with 110 million users accessing the photo sharing and editing app as of April 2019. Brazil was ranked second with 66 million Instagram users, ahead of India with an audience of 64 million users. As of April 2019, Instagram is one of the most popular social networks worldwide, especially among young adults. The platform reported one billion monthly active users in June 2018. Instagram is a popular platform for users to share selfies or other photographic content such as travel pictures, and to keep up with favorite athletes and celebrities. The ranking of the Instagram accounts with the most followers worldwide reads like a who is who in the areas of sports, music, and entertainment. Aside from famous athletes or singers, there also other names on the ranking such as the Kardashian and Jenner family members, who arguably enhanced most of their initial fame and income through their prolific social media usage. Kylie Jenner, a media personality originally known from the series “Keeping up with the Kardashians”, has channeled her online fame into a successful make-up brand, placing her among the highest-paid celebrities in 2018. At 21, she was also by far the youngest person to be included in the annual ranking.